This week we have been contacted by a female coach who is having difficulty with her club who are no longer happy with her having her child sit in the stands whilst she coaches. This coach from the US, was originally told that so long as her child was in the stands with an adult, there was no problem with her being there…now they have changed their mind and the coaches only choice is to quit coaching. 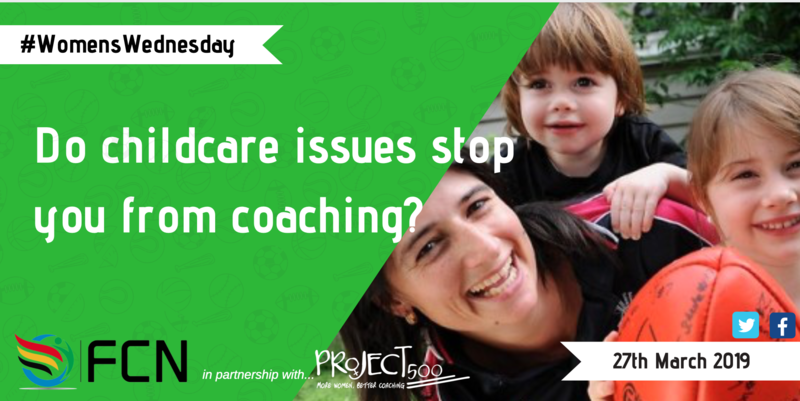 We wanted to know how many other women out there are / have been affected by this and how many other female coaches struggle with balancing child care and coaching? How many female coaches have been in this situation? How many women have quit coaching because of child care issues? How many women have quit coaching because their institution or employer are not understanding? How many women have we lost to coaching because of this? If you have been through the same situation, what happened to you? And what advice would you give to others? How do you balance coaching and children?